I’m not sure I really have 101. I once got A’s in calculus, but given how long it takes me to calculate a tip now, just follow me and see if my calculations make sense to you. 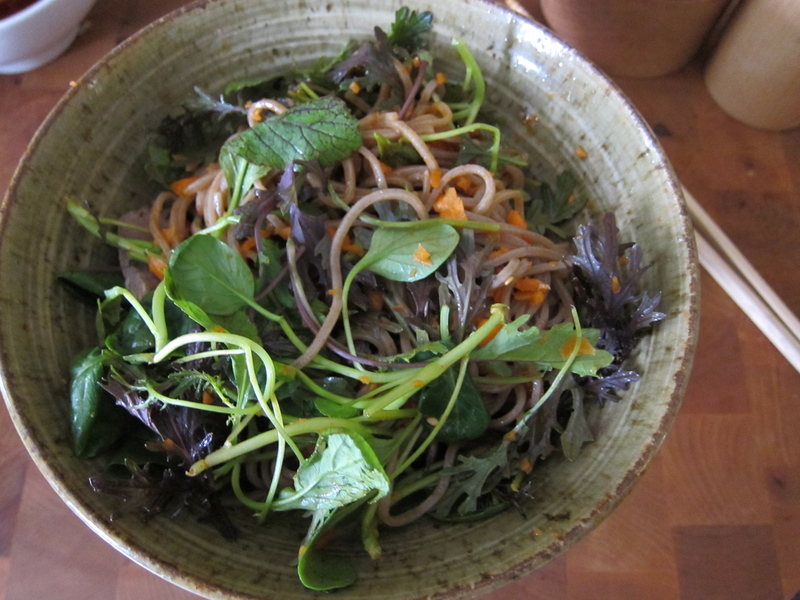 With the never-ending heat wave that has been summer in New York this year (and summer in Russia and summer in Japan), cold noodles have been the only food I can stand to eat. 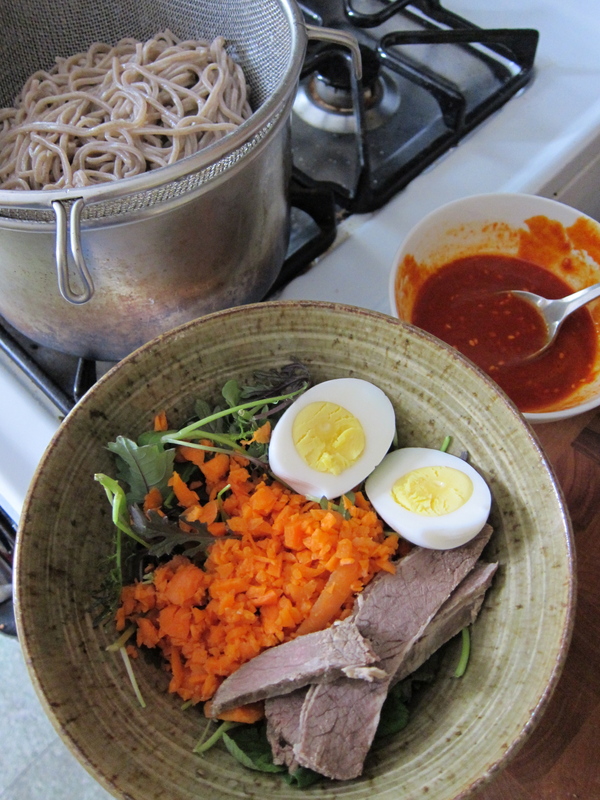 Some of them are classic Korean preparations, some of them are riffs, all of them only require that I turn on the stove just long enough to bring a small pot of water to a boil so the noodles can cook through. 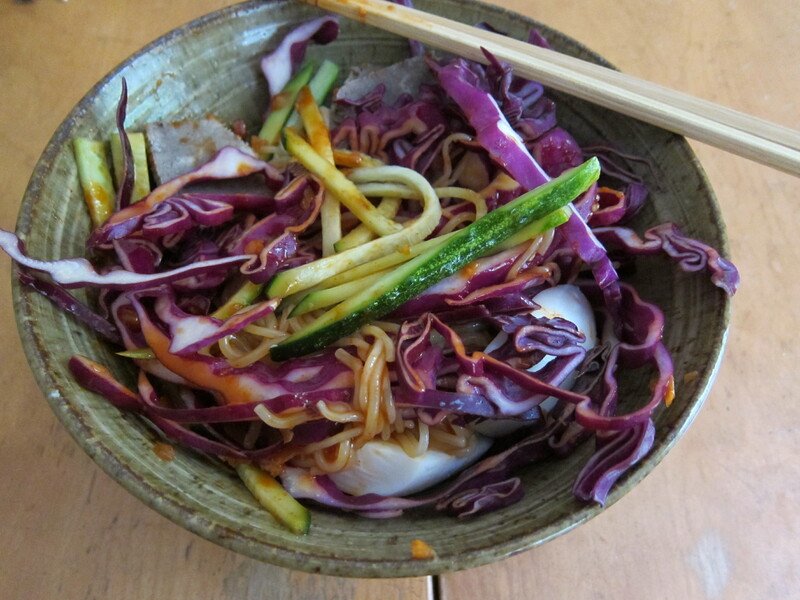 Asian noodles have an added benefit — they’re done anywhere from 45 seconds to 4 minutes. 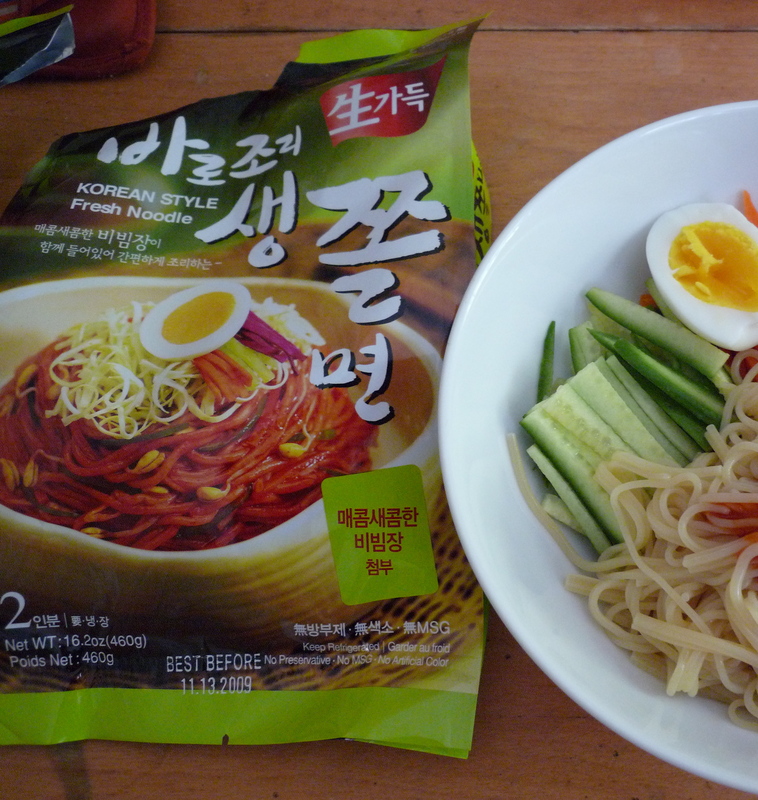 And if you choose carefully, some of the packaged versions at Korean grocery stores are quite good, without any of that chalky MSG taste. 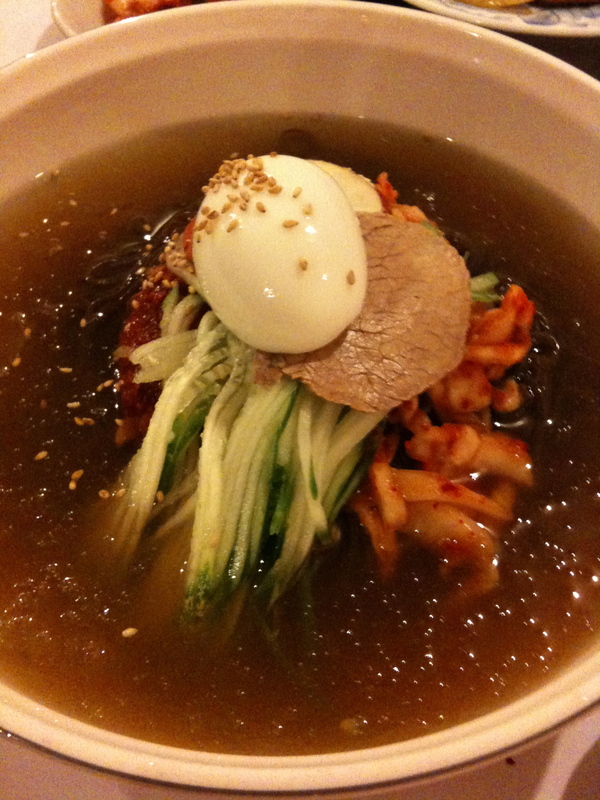 These noodles are used in some classic preparations, like mul-naengmyeon, in cold broth, bibim-naengmyeon, in a spicy-tart sauce, or japchae, noodles stir-fried with beef and vegetables. 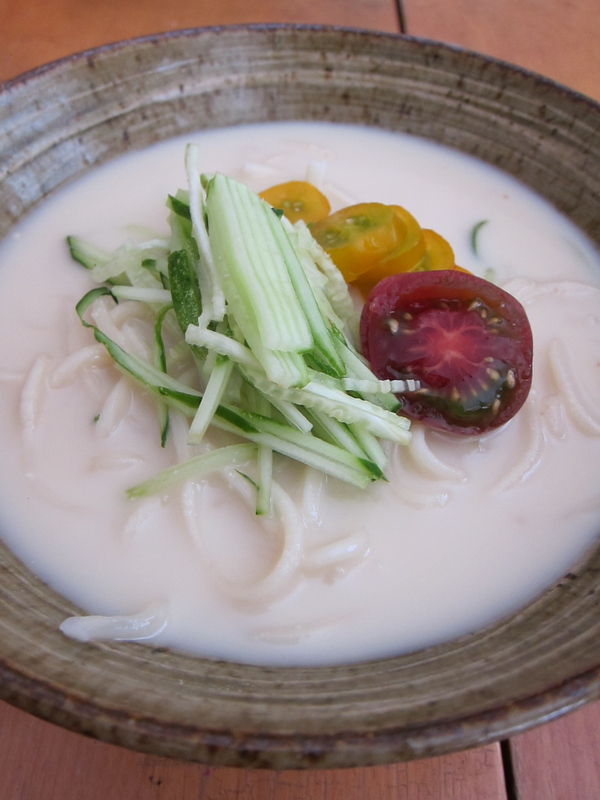 I’ve been eating a lot of kongguksu, wheat noodles served in a cold, vegetarian soymilk broth, the most refreshing carb-plus-bean protein dish ever. 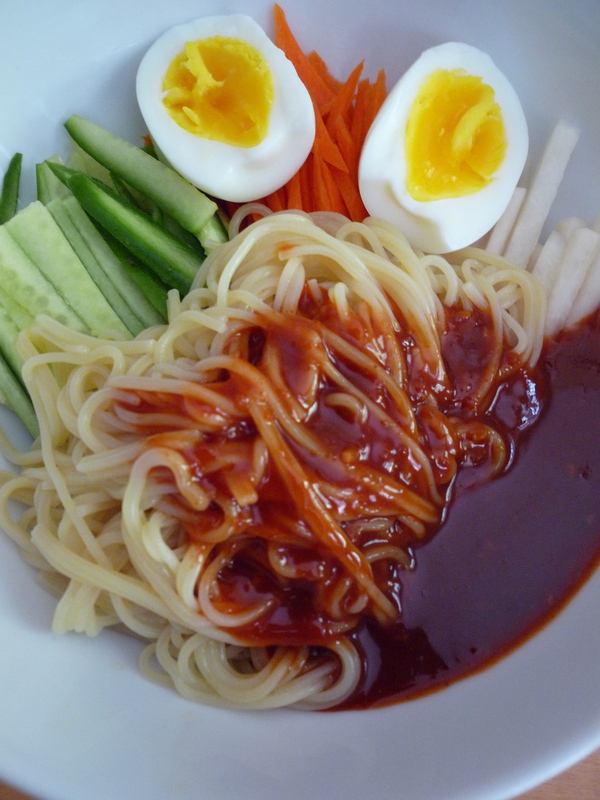 What I really love, though, is that almost all of the above noodles can be cooked, rinsed under cold running water, and then made into bibim-guksu or “mixed noodles.” And like bibimbap, which is “mixed rice,” what you want to mix with your starch is completely up to you. Summer produce is particularly inspiring. So if you have at least 9 kinds of noodles, 23 possible mix-ins, of which you can use any number from 1 to 23 at any one time (though I would aim for 4, personally), how many different permutations is that? At least 101, right? 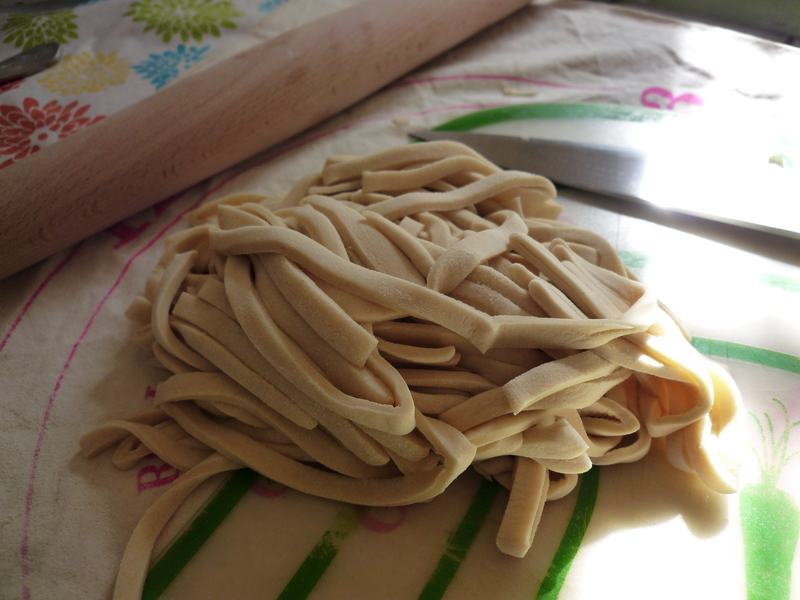 If you have any additional noodle or ingredient suggestions, let me know!